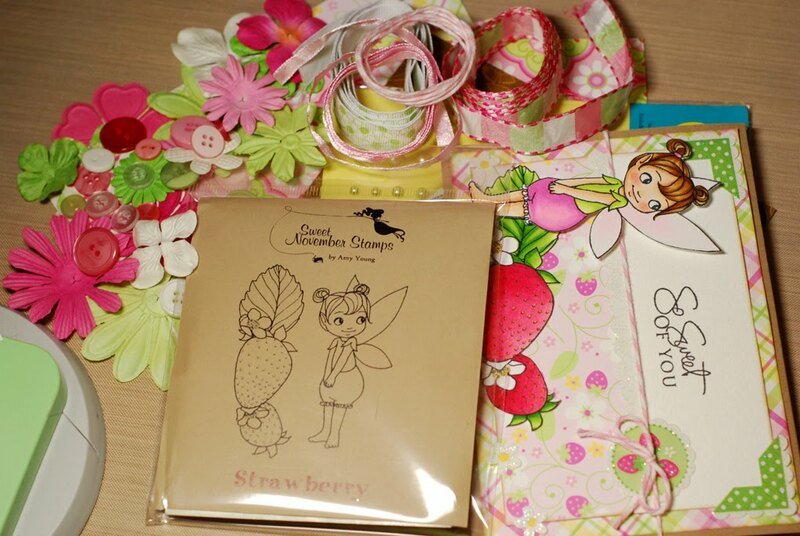 The Strawberry candy kit includes; one Sweet November Flitter Friends Strawberry rubber stamp, twelve 6x6 sheets of paper, small Studio G acrylic stamp set, Prima flowers and e.line pearls and gems, ribbon, twine, buttons, four envelopes, four card blanks and my card. The candies will stay open through Sunday, May 1st and I will announce the winners on Monday, May 2nd. 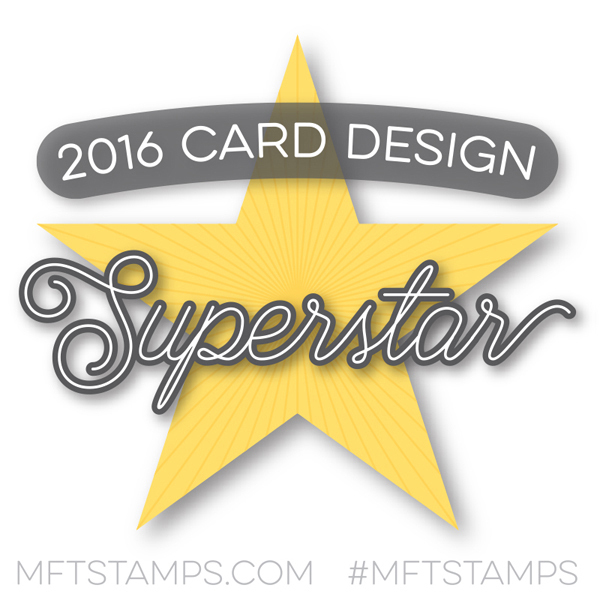 And just so ya know... Sunday night is now the official release date for all of May's new stamps over at ATS! 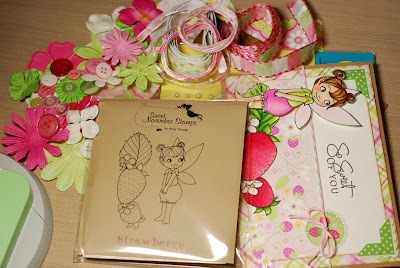 Be sure to flitter on over to the Sweet November Gals' blogs for some super sweet Strawberry goodness! Alice and Nancy have wrapped up this week of previews with the berry cutest cards and they are not to be missed! Welcome back for day three of our May Sweet November previews! 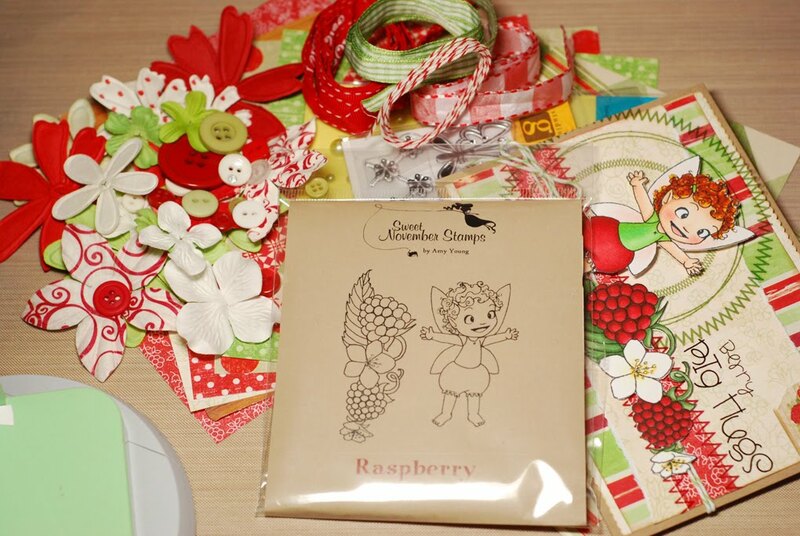 The Raspberry candy kit includes; one Sweet November Flitter Friends Raspberry rubber stamp, twelve 6x6 sheets of paper, small Studio G acrylic stamp set, Prima flowers and e.line pearls and gems, ribbon, twine, buttons, four envelopes, four card blanks and my card. Want to see even more of our crazy little miss Raspberry? 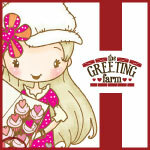 Just hop over to the Sweet November Gals' blogs and take a look-see at their fun filled cards! 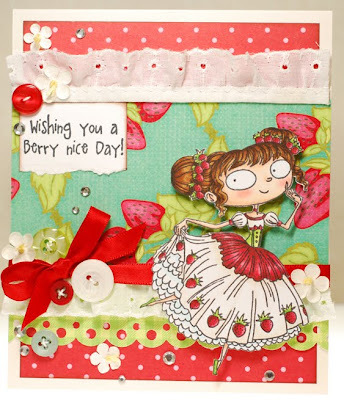 Alice and Nancy have both created cards with plenty of razzle dazzle! Would you like some Blueberry candy? Hello and welcome back for day 2 of our May Sweet November previews! 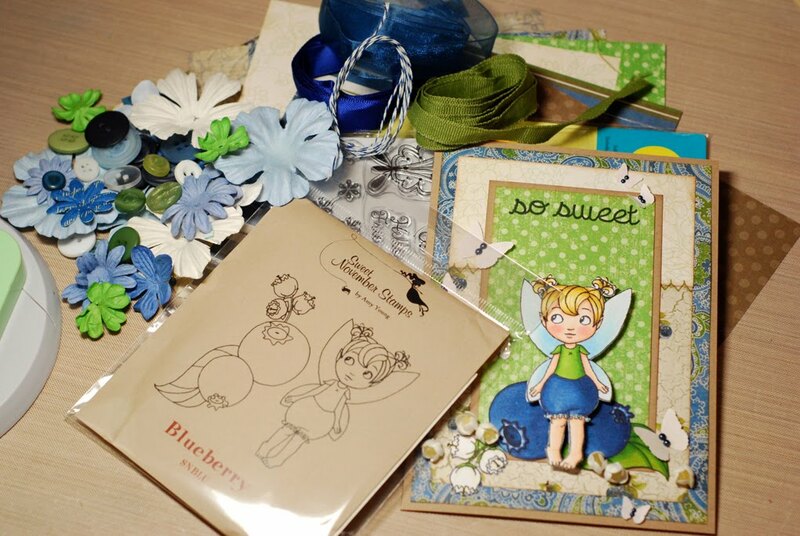 The Blueberry candy kit includes; one Sweet November Flitter Friends Blueberry rubber stamp, twelve 6x6 sheets of paper, small Studio G acrylic stamp set, Prima flowers and e.line pearls and gems, ribbon, twine, buttons, four envelopes, four card blanks and my card. Can't get enough of that Blueberry cuteness? 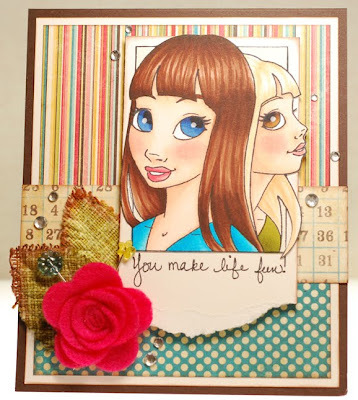 Then head on over to the Sweet November Gals' blogs and check out the deliciously inspiring cards that they have created! Alice, Nancy and Rachel have all outdone themselves with this little sweetie! Well, that's all I've got for day 2 of our May SN previews... tomorrow we will be heading back into the brambles to meet a crazy cute little Flitter Friend... this one will keep you on your toes, LOL! Are you ready to head back into Sweet November Land and meet a few more of it's magical inhabitants? This time we will be traveling through the wild wood and the mystical meadows until we reach the enchanted gardens where the most delicious fruits and berries you have ever tasted grow. These special sweets are tended by a dedicated group of little fairies known by all as the Flitter Friends. 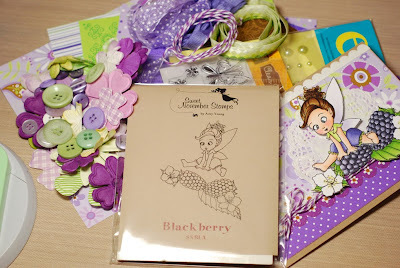 The Blackberry candy kit includes; one Sweet November Flitter Friends Blackberry rubber stamp, twelve 6x6 sheets of paper, small Studio G acrylic stamp set, Prima flowers and e.line pearls and gems, ribbon, twine, buttons, four envelopes, four card blanks and my card. 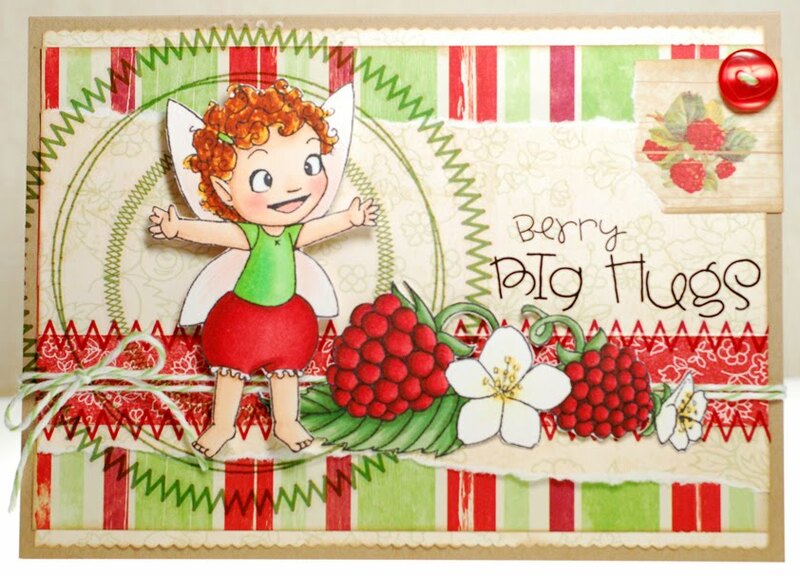 Okey dokey, now you'll want to stop by the Sweet November Gals' blogs and check out the 'berry' cute cards that they have created with little Blackberry! Today Alice is joining Nancy and Rachel and their cards are sure to get your creative juices flowing! Alrighty, that wraps up day 1 of our May SN previews... we've still got plenty more delicious sneak peeks to follow so check back tomorrow to meet another Flitter Friend! 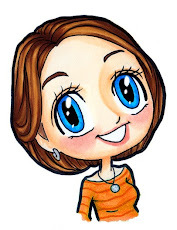 Sweet November spotlight on Alice! Today it is my great pleasure to shine the Sweet November Guest Gal spotlight on a super inspiring card maker and Copic wiz... Alice Wertz! And while her cards may subscribe to the 'less is more' approach, Alice's skills with Copic markers are phenomenally expressive! I love how she gives each character that she works with their own personality with just a few swipes of the marker. She is such a talent and I am just thrilled to have her joining Sweet November for the May previews! Hummm... I think it's yellow. You know, kind of gentle (or I try my best to be) and patient (also try very hard to be). Not really. Our home decor is mostly earth tones with cream back drop and decorated with two cats. =) Hubby lived in it for a couple of years before we met, but I am slowly filling it up with my crafty goodies. LOL! As to my style of dress, it's really t-shirt + jeans most of the time. Reading books. I love reading and I am not doing it enough these days. A fairy! I am kind of curious about how wings work, plus it sounds kind of fun to be able to fly around at will. 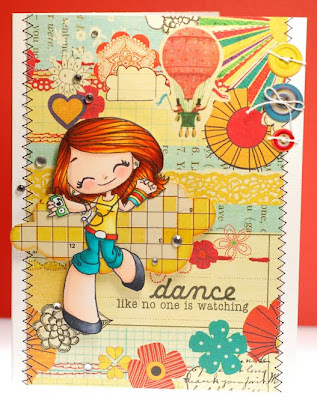 So be sure to head on over to the Some Odd Girl Blog everyday this week, April 25-30, to see Mae doin' her thang as well as all five of the other stamps as they are featured on their days. There are also many more chances to win, so don't miss out! 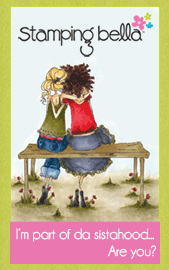 All winners will be announced on release day, May 2nd, on the Some Odd Girl Blog. 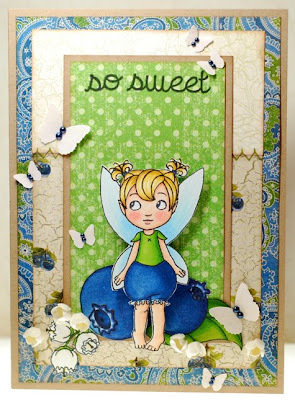 So I was blog surfing the other day and came across some super cute fairy images that I just had to track down. My search finally led me to Deb's Creations, the home of the Emerald Faerie Garden. By now you've probably figured out that I'm quite partial to the wee fairy folk so it is no surprise that some of these cuties absolutely stole my heart. Now normally I would have gone for the rubber stamp versions but seeing as how these little guys would have to fly all the way from Australia I knew that I was just too impatient for that. It's times like this when I really appreciate having the digi option for instant gratification. The first one to flitter onto one of my cards is Ebony. She actually comes hugging the stem of a large mushroom but I thought that by simply fussy cutting her out she could look like she is sitting on the ribbon, shyly smiling as the butterflies tickle her ears. I paired her with the Basic Grey Hello Luscious papers because they looked like a whimsical garden to me. And all of those colors in it were fun to try and match with my Copics when coloring Ebony up. 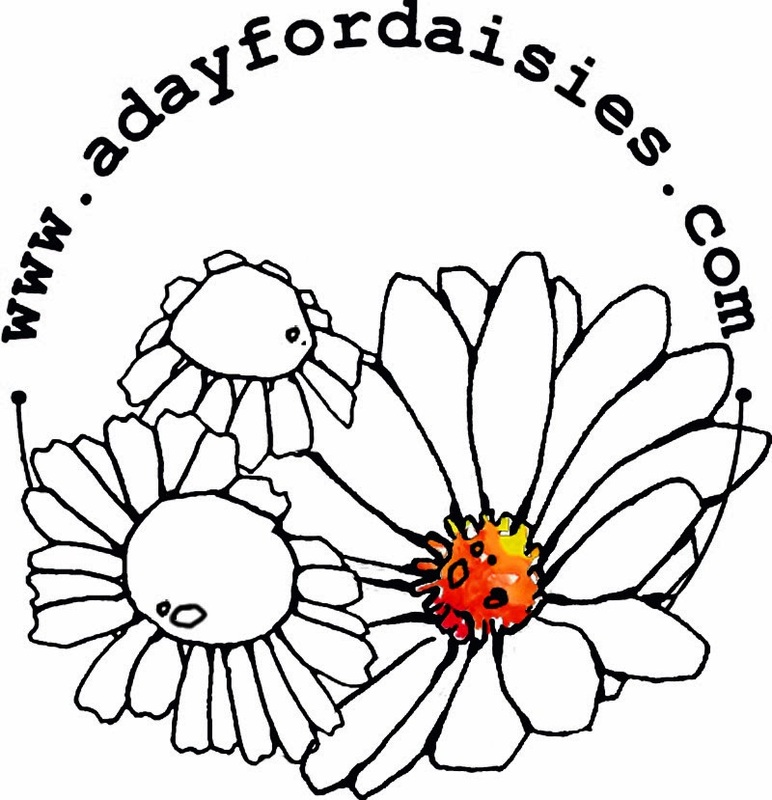 If you've just happened upon my blog today and want to join in the hop then just start at the Some Odd Girl Blog and follow the hop list. And if you've arrived here from Kellie's blog then you're doing great! 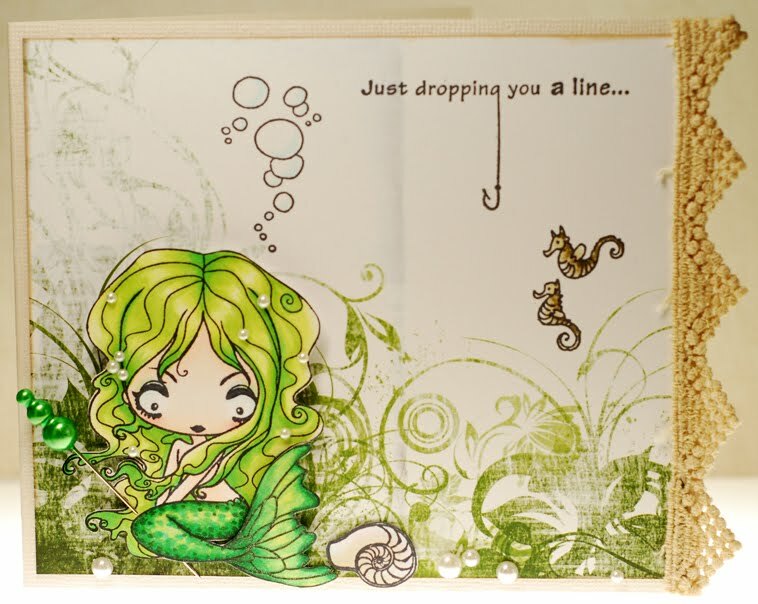 There are six SOG images that have been turned into clear acrylic stamp sets, each one with it's own coordinating sentiment. Kristy asked us to choose our favorite from the release to create a card for the hop and though it was a difficult decision because they are all so cute, I finally settled on Love Letter Kaylee for mine. 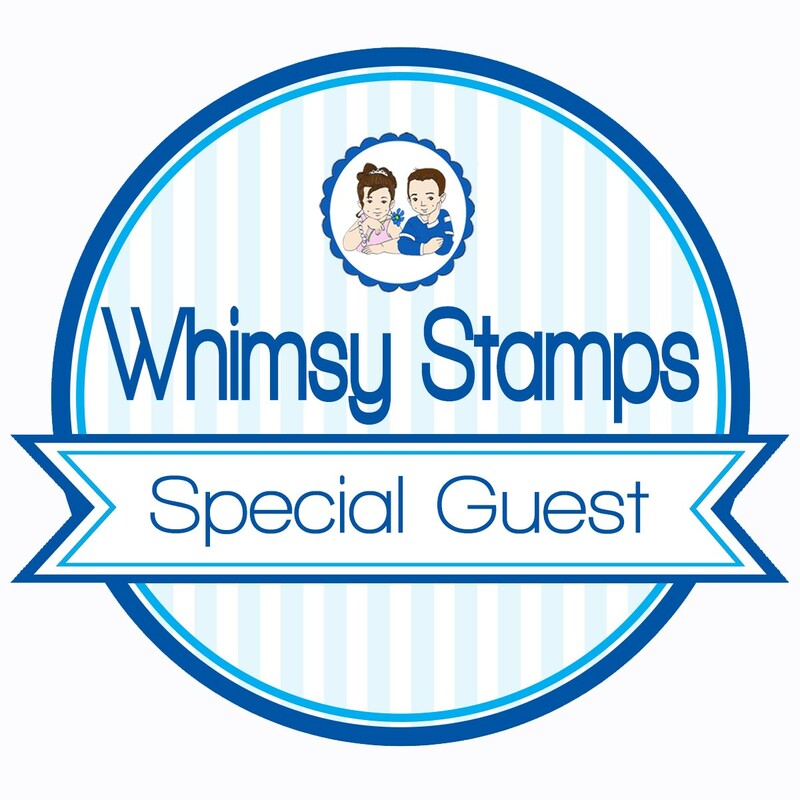 Alrighty then, make sure to hop and comment on each participating blog, everyone who comments will be entered to win the complete set of six stamps from the May 2nd release! Also join us back at the Some Odd Girl Blog everyday next week, April 25-30, for more sneaks of all the stamps and many more chances to win! All winners will be announced on release day, May 2nd, on the Some Odd Girl Blog. 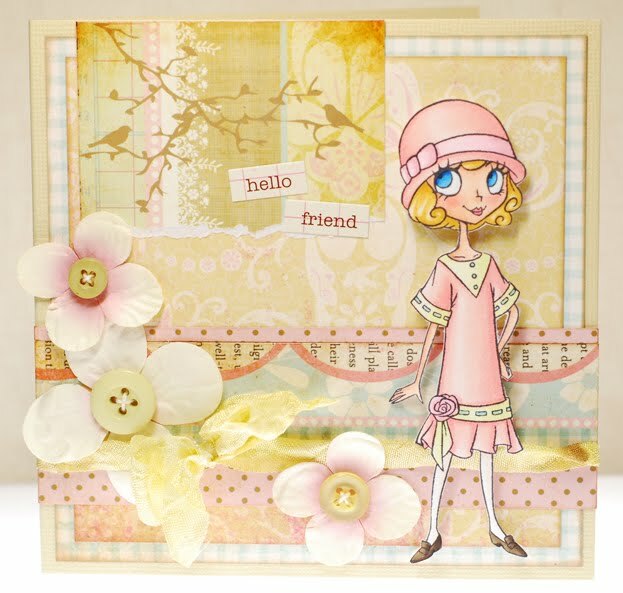 The Tickled Pink challenge this week is to think spring... colors that is... so I pulled out some of the Vintage Whimsy papers and border stickers and got to work. I think that the soft pastels are just ideal for this challenge. I paired them with one of my all time fave Lolitas, 20s Evie, as I always love how she looks all colored up. And I just realized that this isn't the first time that I've used her with some kind of bird image either... apparently I really like to put Evie outside enjoying nature, LOL! We would love to have you play along and show us your spring colors for a chance at winning a great prize from the Tickled Pink store. Just be sure to use a Tickled Pink stamp in order to qualify, these include Lolitas, Lads, Pinkettes, Pink Pets and Cherries. 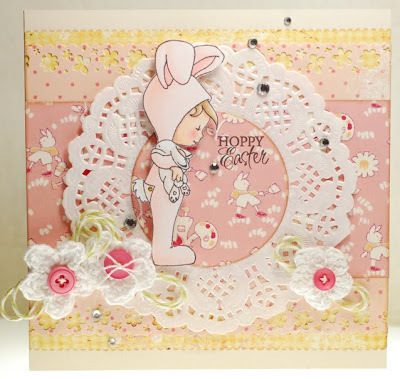 Then link up your card or creation at the TP Challenge blog by next week. And good luck! Can I just say that there was way less music than I expected on Glee last night, especially considering that the episode was about a concert fundraiser? Sure it was cool to see and hear Sunshine again but the whole whole hour seemed pretty light on the tunes... and on the male vocals. But at least we have 90 minutes to look forward to next week AND Kurt will be back at McKinley! Happy dance! 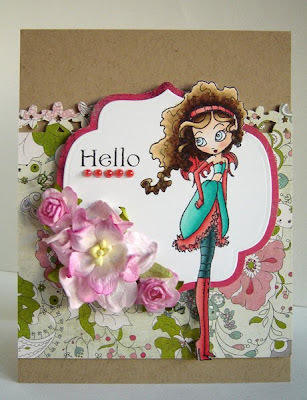 We have a new Wednesday Challenge up over at All That Scraps and it is to create your own flower accents. Punches, dies, rolled ribbon... whatever crafty way you can think of creating some special blossoms for your card or project, we want to see them! This was a great excuse for me to pull out my MFT rolled rose die once again and make a fun felt rose to match the MME papers I used. 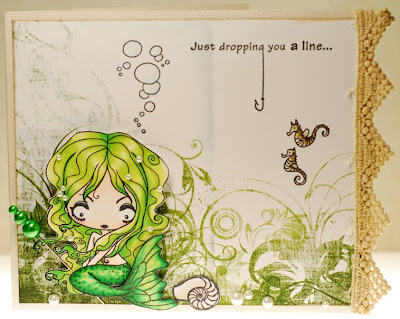 Yes, they are Stella & Rose scraps for the second time this week but you are just going to have to humor me... at least until I can get my hands on the NEW My Mind's Eye Lime Twist mini paper pads that are due to release soon, woot woot! Alrighty, if you would like to play along for the prize this week just remember that in order to be eligible to win, your project must include a stamp that is sold in the All That Scraps store. Whether it is any of our wonderful in house designs or from the various other stamp companies that ATS carries, the choice is yours. 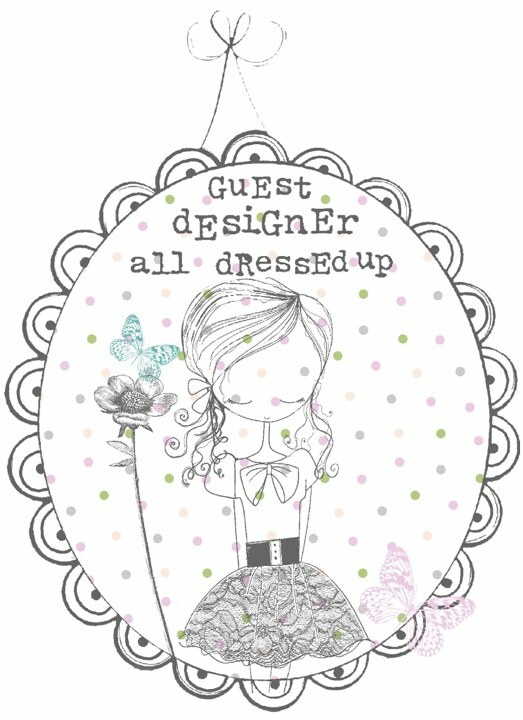 Then be sure to link up your creation with Mr Linky by next Tuesday at 10pm est and only one entry per person please! Howdy all! 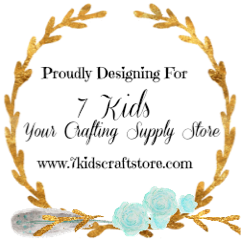 I'm still experiencing technical difficulties with blogger running all of my sentences together so until I can figure out how to fix it I do apologize if my posts are kinda difficult to read. 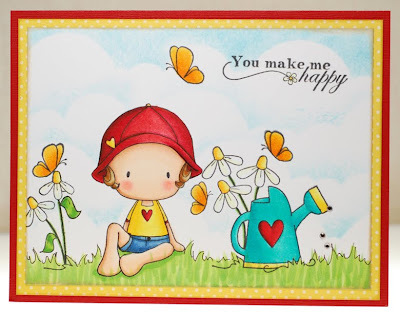 Now back to our regularly scheduled programming... Wednesday means it is ATS challenge day and this week the challenge is to either create a watering can out of paper or to use a watering can image on your card. Because of my lack of paper crafting abilities I opted to use the watering can from the Swiss Pixies Spring set on my card. I then paired it up with Bathing Beauty Emma whom I altered into a little garden looking cutie. I just wiped away most of the decorations on her bathing cap, the bottom of her bikini top and the line of her swim shorts before stamping. Then I drew in the brim of her new hat, the sleeves on her shirt and the the cuff of her new shorts. I just totally adore Emma's sitting pose in this image and have altered her once before... hopefully Christine will make a new stamp or two in a similar pose sometime soon. Fingers crossed hint, hint, wink, wink! 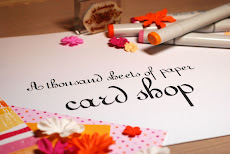 ;) Ok, so if you want to play along don't forget that every week there is a new and exciting prize being offered and in order to be eligible to win, your project must include a stamp that is sold in the All That Scraps store. Whether it is any of our wonderful in house designs or from the various other stamp companies that ATS carries, the choice is yours. 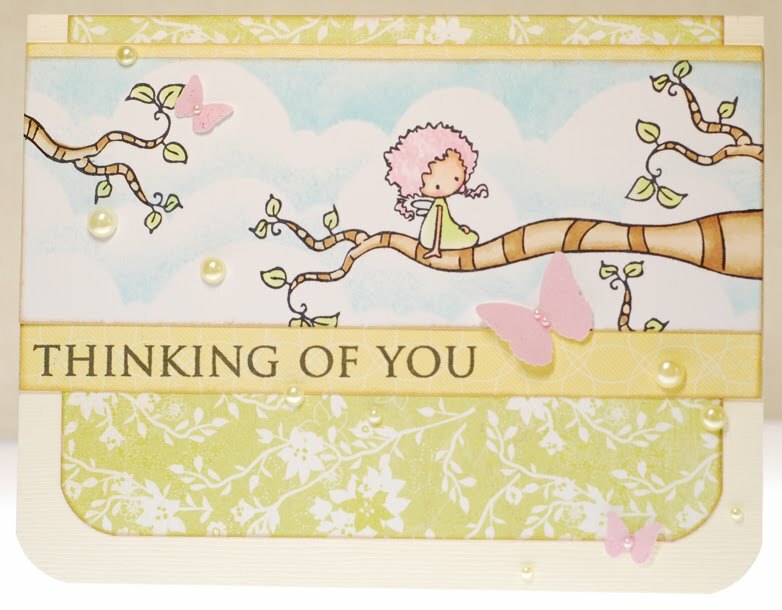 Then be sure to link up your creation with Mr Linky by next Tuesday at 10pm est and only one entry per person please. TTFN! Anyone recognize which movie that line is from? Que Jeopardy music here... LOL It was Tombstone... I can remember that movie came out when I was a junior in high school and my friends and I went to see it a couple different times in the rinky dink little theater in town. I think I may have had a crush on Val Kilmer's Doc Holiday character, he just had the best lines! The other one that I really remember and quote quite often is, "I'll be your huckleberry." Heeheehee yes I think I've firmly established how much of a nerd I am by now. ;) Anway, this crazy cute little Daisy Sprout from TGF is what caused my little sidetrack moment down memory lane, isn't she a doll? As soon as I saw her with that wild, tweaked out hair she brought to mind Chef Anne Burrell from the Food Network channel so of course Daisy had to be a blond too, LOL! I did do just a smidge of altering by wiping away her large ruffled collar before stamping and drew in the rest of her sleeves to fill in the space. And I'm envious at how well she is pulling off that culottes look... I don't ever remember feeling that cute the few times my mom made me wear some back in the day. LOL So crazy Daisy is also entering a couple of challenges today... all of the colors in this card came from Lily Pad Cards' first ever Color Throwdown challenge. Anything with orange in it is a winner in my book and I had the perfect papers too! 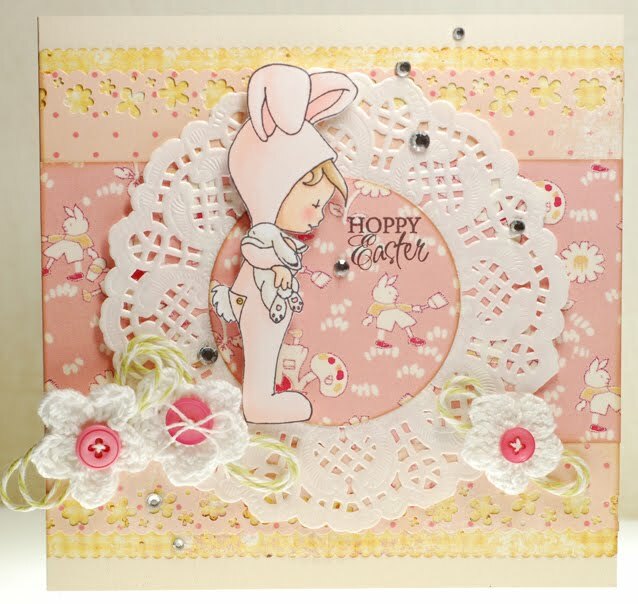 And as it was coming together I thought that the colors were very Spring looking all together so I'm also entering this card into the Farm Fresh W.O.W Swing into Spring challenge. Whew! A two-fer... that doesn't happen often around the ol' thousand sheets bloggity blog! ;) Ok, time for me to scoot my boot... TTYL! Tickled Pink welcomes the Pinkettes! 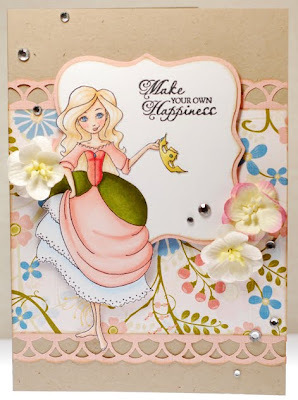 CC Designs B-Day blog hop and some winners!